To celebrate Mick's (TheCowboy) 50th Birthday, myself, Kevin and Roger decided that we would go to Blenheim Palace fishery for the day. None of had been there before and we were all looking forward to the day. We did some research about the fishery from various on-line forums etc and downloaded a map which shows some goods spots to go to. I'll explain a little about the fishery first and at the end I'll put links up to the website and map. 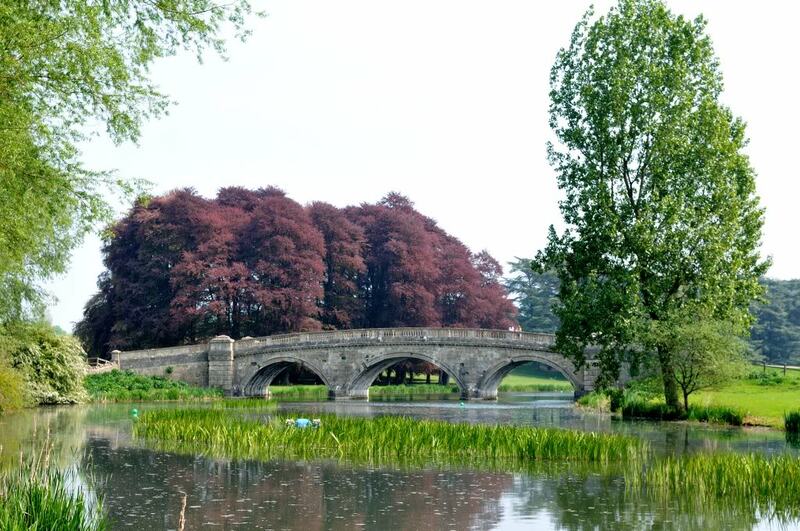 Blenheim Palace Trout Fishery is situated within the grounds of Blenheim Palace. 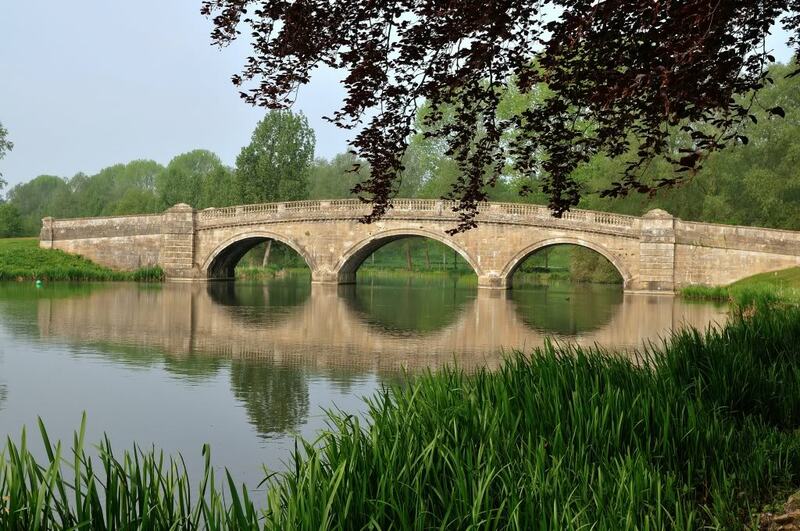 The picturesque park provides a unique setting for trout fishing and it's set in a rolling landscapes created by Capability Brown. The fishing complex extends to 21 acres of water with a bank length of a mile. 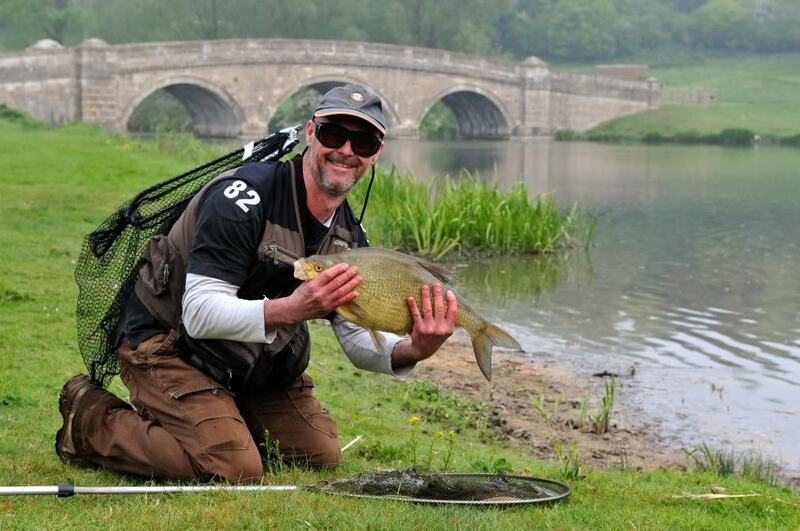 The waters are stocked with full tailed rainbow trout weighing up to 8lbs together with a few browns. 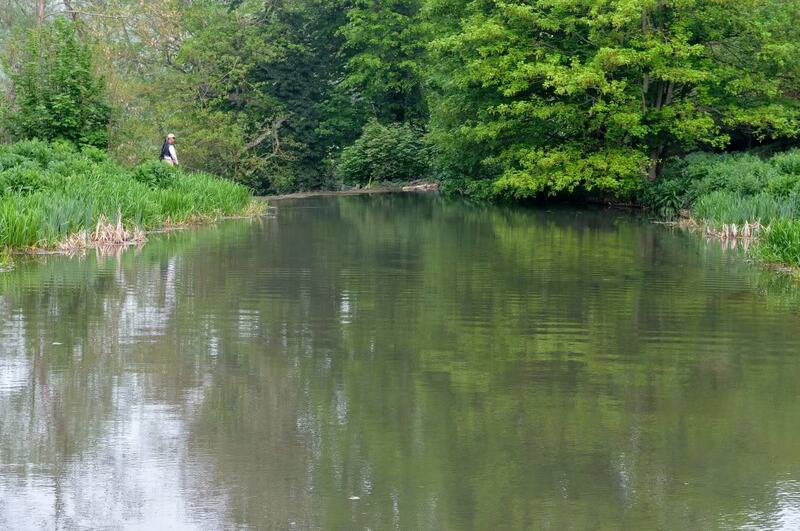 The fishery is split into 4 beats known as Rough Piece, Bladon, The Lince and The Gardens. All these beats can be fished under one ticket although The Gardens can only be fished after 5pm when the visitors to the palace have vacated the gardens. Tickets cost �35.00 for all day, keep your first 4 fish and then you can catch and release 6. You can also purchase a half day ticket for �25.00, keep you first fish, and then release 4. The half day tickets are for morning 7-00am to 2pm or afternoon 2pm - dusk and if its light enough able to fish after 5pm, you can fish the Gardens beat. Bladon is the widest and the flow is fairly sedate while the Lince and Rough Piece beats are narrower and therefore it has more of a flow through it. Bladon Beat extends from the car park by the bridge down to the padlocked gate. It is fairly wide and shallow, you need a good cast to reach the deeper areas where the main river flows. The Lince is though the padlocked gate (you get the code when you purchase your tickets) and it is limited to where you can cast from due to bank-side vegetation and also weed, reeds and lily pads in the water. There is a section near the end by the small bridge where is it weed free where 2 or 3 anglers can fish. Rough Piece is on the same side a the car park by the bridge, you can fish both banks and the car park side extends a little further than the far side. There are plenty of places to fish here and the reeds are mainly in the middle. We set off from Staines very early, we wanted to be at the fishery for 7am as we thought that would be the best time to fish. The forecast was for bright sun, little wind but at least it wasn't going to be as hot as it was on the previous couple of days. We had enough time to stop at the services on the M40 to experience a truly awful breakfast, the Frankie and Benny's breakfast we had at Dorking (fishing for pike social) was of a Michelin standard in comparison! Still, at least we avoided food poisoning and we made our way the the fishery. 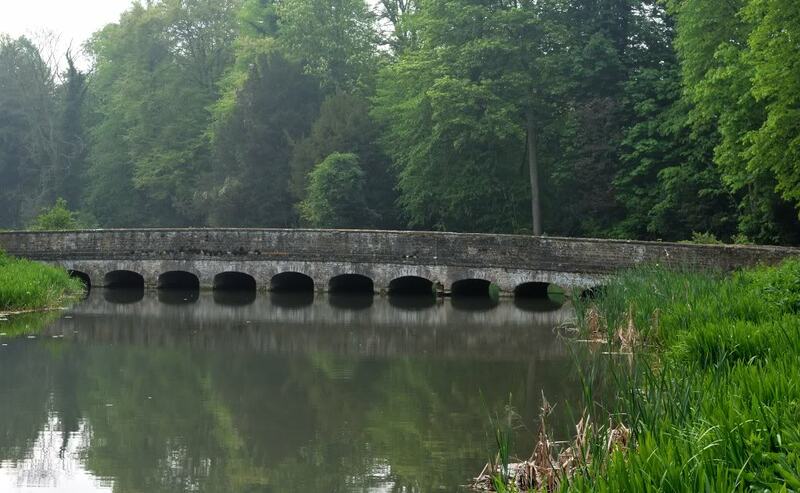 The entrance to the fishery is through the village of Woodstock and if you are into exploring pretty villages, then you need to go there as is it beautiful. As we are heathens, we didn't stop. We found the entrance through the main gate and then had to drive for about 1 and 1/2 miles through the grounds which again were beautiful. We arrived at the car park just after 7am and chatted to two other chaps who, like us, hadn't fished there before. We set up our rods and stood on the bridge and looked into the water. There were fish, lots of fish! Unfortunately, they were not of the kind we were after! There were huge dustbin lid sized bream, some carp, lots of silver fish and a huge pike! From what we could see, the water seemed shallow and it was fairly clear. 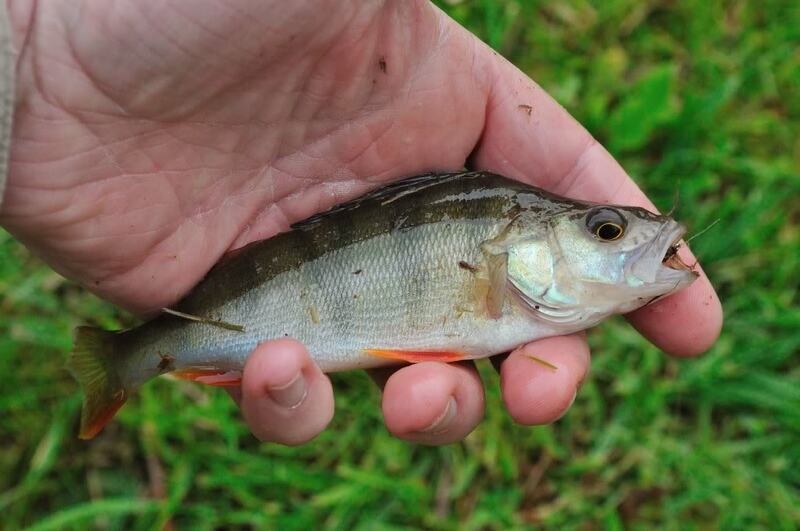 The bream were doing their best to make the water cloudy as they were sifting through the mud and silt. Anyway, from the fishing log book, it seemed as though there were plenty of fish in there, we just had to find them. Kevin had caught the bream with his dropper in its dorsal fin and it did take him a long time to land it, fortunately, it swam away OK. He's being a bit braver here and he's not got wading boots on! Kevin and I decided to go back and fish Rough Piece on the same side as the car park, it was also where our cool box with liquid refreshment was kept! As we neared the main bridge, we had a few casts by the bridge. I caught a beautiful roach but didn't get a pic of it. Whilst we were there, Graham, the bailiff turned up so we had a long chat with him. He gave us some very useful help and advice, the main one being use a very slow retrieve or no retrieve at all. Also, cast to the reeds as the fish swim close to them. With renewed confidence and with a beer in hand, Kevin and I wandered down Rough Piece. One of the guys who we spoke to when we first set up was getting regular takes, he was certainly sitting on a pod of fish. I was fishing opposite but couldn't reach them. I wandered further upstream and found the swim I had noticed earlier in the day. I was using a 3 fly set up, small copper PTN on top dropper, small GRHE on middle dropper and black/green Montana on point. I had a few casts to the reeds as Graham had told me to and within 10 mins, I had my first proper fish of the day! It was a lovely condition bow which put up a real struggle. It was about 2lb and I had 2 more fish from there, 1 was about the same size, the other was nearing the 4lb mark. I also lost 3 and missed a few thumping takes. It was then time for Kevin and I to leave as it was 2pm. Mick and Roger stayed on as they had day tickets. Mick had 3 fish and lost 5 and I'm not sure how many Roger had up to that point. Hopefully he will add a report at some point too. All in all a good day out in some stunning scenery but I think it would be best suited as a winter venue. Oops, forgot to add the links! Lovely report there Nige. I remember you mentioning this place before but it's good to see some pictures of the day. I'm a bit concerned that there isn't any evidence of Kevin and a fly rod shown above. 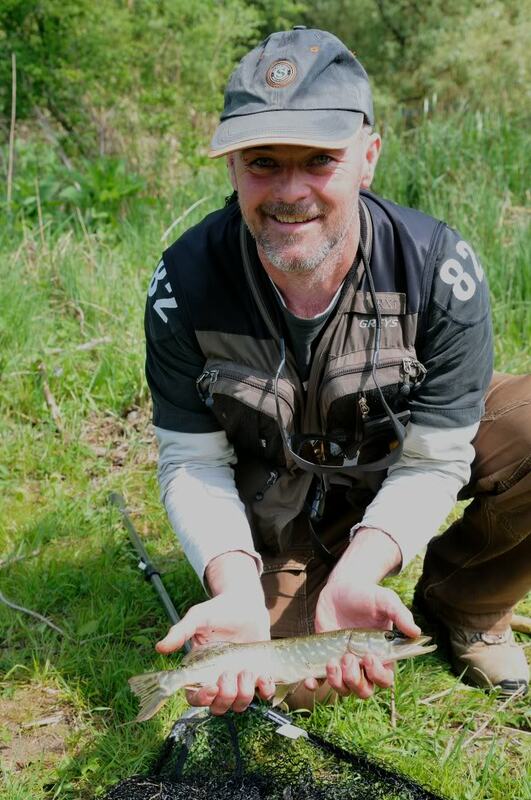 I realise that, like me, he's on a final warning after the pike social but is there any real proof that the pike and bream were landed on fly tackle? I know how easy it is to smuggle a lure rod nowadays, and telescopic float set ups are also easy to come by, particularly so in this case - where a discrete maggot dispenser machine just outside Woodstock is freely available. Kevin just uses a net Rich! He's a dab hand at it now!! I'm not sure how many Roger had up to that point. Hopefully he will add a report at some point too. Well I had an enjoyable if frustrating day, the early start never goes well with me. I agree with everything in Nigel's review and can only add a little about the Garden beat which was only accessible after 5pm. Its a very short stretch running up to the foot of a large waterfall via a short streamy section. It has a path running along behind and it was still heavily populated with pedestrians at 5:30pm. 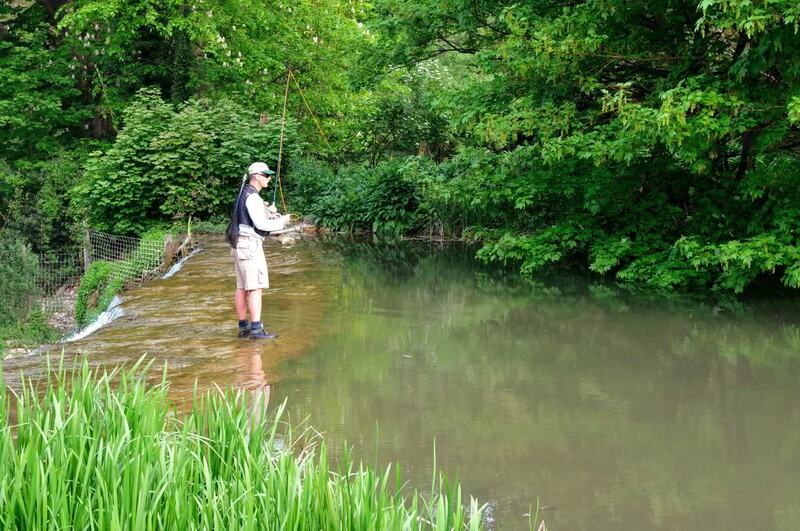 There were a few fish being caught by a chap in the swim just where the stream runs into a widening deeper pool, the swims downstream of here (probably room for 3 anglers) were pretty much the same as previously reported - shallow, muddy and full of bream. The single swim in the streamy bit was only about a foot deep and had a few bream and lots of small fry and one chub - I couldn't see any trout. Hmmm Nige neglected to mention the incendary devices and and electric dets that I use before I use the net. Typical fishing tactics of a Zim!! Edited origianl posts to include website links. I'm gutted now you 'ol boys have found my secret water! great report and pics, and also happy belated 50th to Mick! Blenheim can be a funny place at times and takes a bit of figuring out, its more like river fishing than standard still water, theres loads of variations in depth throughout the whole stretch of it, the Gardens beat is best fised late on, not only because of the tourists but the fish move from the deeper areas further up towards the waterfall, best areas to fish from are the two outlet pipes and cast 1/2 - 3/4s of the way across as there is a current running down a mid channel about there, Diawls, bloods and even cats whiskers will sort them out generally, hoppers, shuttlecocks, sedgehogs good call if they are up in the layers! Back down from the gardens the first shelter is another good spot, had a few nice fish out from there too but a little perserverance and a lot of walking both sides of Rough will produce fish, same as Bladon and Lince, The bream can be a real pain in the proverbial, but keep an eye on the larger pods, a lot of the trout will follow them, last wednesday I was down and managed 9 fish including a brace of 6lbers! this don't happen all the time mind but a lot of the fish I caught were following the bream shoals! most of the pads up Rough Piece, opposite carpark side, and again towards the middle are good holding spots, but there is a current / channel running pretty much the whole length and the fish use this like a highway! but don't forget to slide the odd nymph under the trees in the margins anyway glad you all had a good day and left me some fish for tommorrow! My appologies for not being on here more! If you fish the wrong fly long & hard enough it will eventually become the right fly!